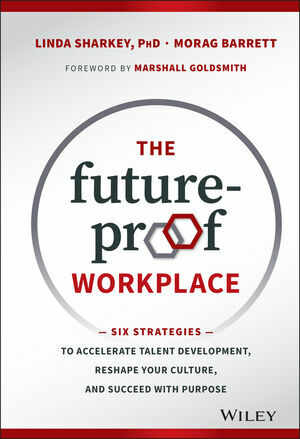 The Future-Proof Workplace is a survival guide for the new realities of business. The future is no longer some far-off destination; it is here, right now, and already changing the way we work. Historically, the sea-changes have advanced humanity and inspired us to reach even further; from the Dark Ages to the Age of Enlightenment, from agrarian to industrial societies—and today is no different. But only those who are ready for the changes will come out thriving. This book highlights the changes already taking place around us: the transition from skills to knowledge, the neuroscience approach to leadership and motivation, galloping technical advances, and more. Whether you're a CEO, a leader or manager, or just trying to survive the chaos, this invaluable guide is your wake-up call—the future is now. Everyone knows that changes are needed—and fast. The question is: which changes, and how? The Future-Proof Workplace maps the transformation, and gives you an itinerary for each step of the way. DR. LINDA SHARKEY is a Founding Member of the Marshall Goldsmith Group, a premier executive coaching organization. Her clients include Boeing, GE, NetApp, Sodexo, Key Bank, Sanofi, and Lexis Nexis. MORAG BARRETT is CEO of SkyeTeam, an international leadership development company. At last count Morag has worked with more than 3,000 leaders in 20 countries, including Google, Scholastic, Microsoft, DexMedia, Topgolf, Level 3 Communications, and Denver Art Museum.